Low-level ozone, formed by V.O.C. 's and U.V. light, is a chemically reactive gas that rapidly oxidizes and damages the dyes and pigments used in hair color. 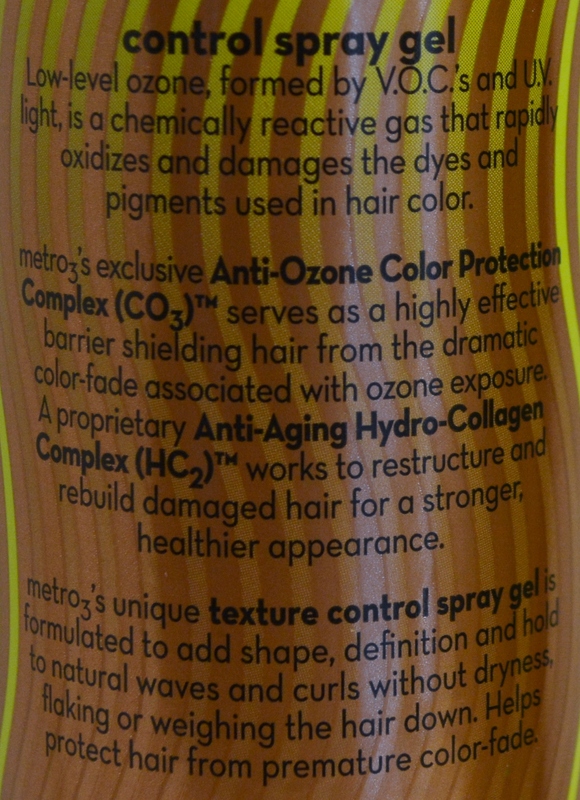 Metro3's exclusive Anti-Ozone Color Protection Complex serves as a highly effective barrier shielding hair from the dramatic color-fade associated with ozone exposure. A proprietary Anti-Aging Hydro-Collagen Complex works to restructure and rebuild damaged hair for a stronger, healthier appearance. 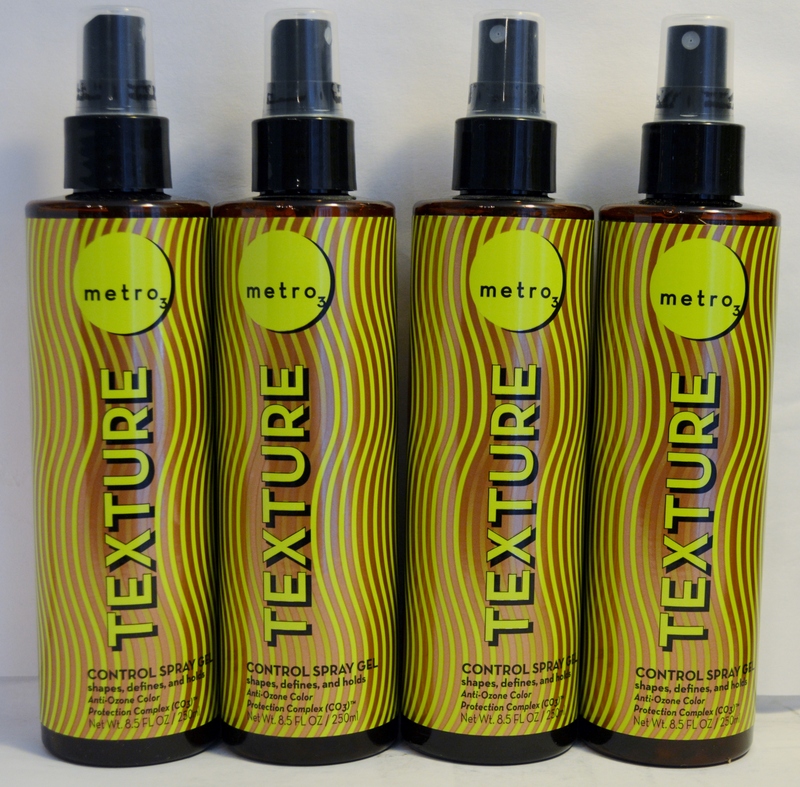 This spray is formulated to add shape, definition, and hold to natural waves and curls without dryness, flaking or wearing the hair down. Helps prevent hair from premature color fade. This is a 4 pack!